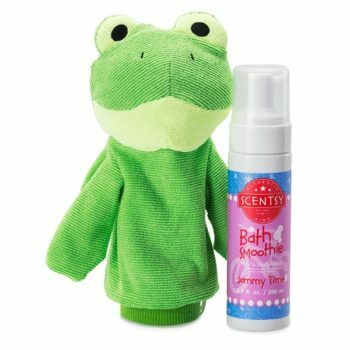 This playful, puppet-inspired bath toy and washcloth will make washing up a blast! Each Scrubby Buddy comes with a bottle of Scentsy Bath Smoothie for a complete wash-and-play bath routine in one perfect package! Polyester blend; cotton lining. Hand wash, tumble dry low. Scrubby Buddy not sold separately.